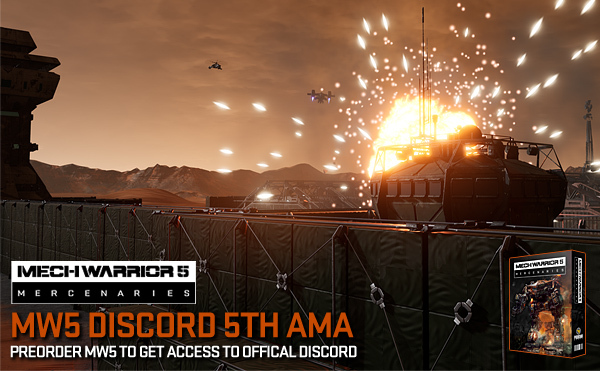 It's been 2 months now since our first General AMA and a lot of new people have been joining this Discord since out first AMA, so as a result, we'd like to host another General AMA for the next AMA! We will be scheduling the next one for Wednesday, April 10th with the subject of General MW5 AMA. The Developers attending will be Russ Bullock and Alex Garden.